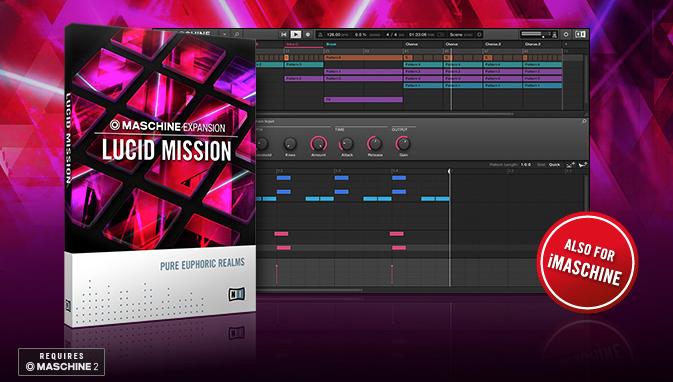 Lucid Mission, Drum/Percussion Sample from Native Instruments in the Expansions series. 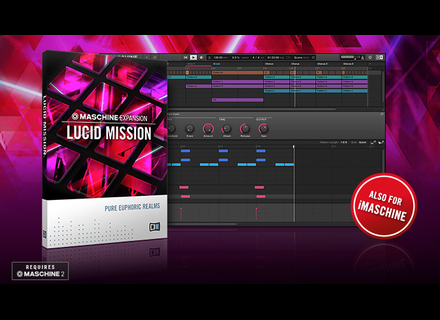 Lucid Mission is designed for EDM, trance, pop, dubstep… producers and features 8 full projects for Maschine 2 as well as 50 presets for Massive. You will also find in the synth presets basses and melodies. The library includes 40 drum kits and 32 synth drum presets. A selection of percussion loops is also available. The 319Mo library has a price of 49€. A version for iMaschine can be purchased via the iOS app and you can listen to a demo at www.native-instruments.com. The Arturia Spark 2 software is out Arturia released today the second version of the Spark drum software, an update that had been unveiled in NAMM last January.